When we paid a visit to Molly Miller of Sift Gluten Free, she didn’t have to ask us twice to sample her delicious treats. Our mouths were watering at the mere sight of her beautiful creations. 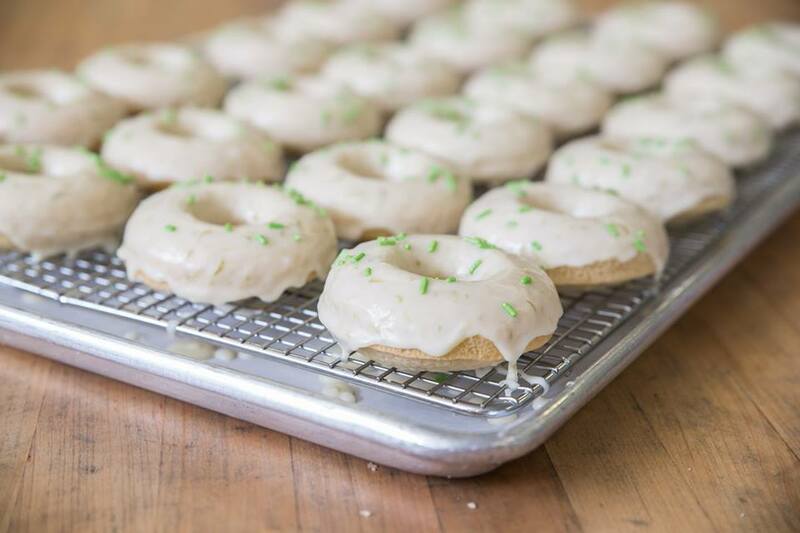 We met with her at her shared, certified gluten-free baking facility in Minneapolis. She told us a little bit about herself and her mission in creating these wonderful, gluten-free treats. Molly grew up in Wisconsin in a home where baking was an important family tradition. She loved learning techniques from her grandmother and mother, and learned that baking and sharing can be a wonderful way of expressing creativity and connecting with people. When she was 13, she was diagnosed with Crohn’s Disease which is a digestive ailment that made her sensitive to certain foods and ingredients, mainly gluten and dairy. She knew she didn’t want to give up her love for baked goods, so she decided to bake, and subsequently share a product that was free of common food allergies, namely gluten. The result is a selection of superior treats that not only rival others in the market, but are some of the best we have ever tasted. They have an amazing fresh, homemade flavor. To achieve this, Molly uses a custom “flour” blend made of brown rice, sweet rice, millet, sorghum, and tapioca. It is milled by a gluten free facility. All of her creations are gluten free, dairy free and some are vegan. The donuts, our favorite, are also baked and not fried. Bob’s goal is to be sensitive to our customers’ needs and provide options for everyone, that are also the highest level of quality and taste! We also want to support local artisans, so we couldn't be happier to partner with Molly. She will be opening a storefront in Minneapolis this summer, and we are so excited to watch her grow!